The lists given below (through hyperlinks) are not meant to be exhaustive. 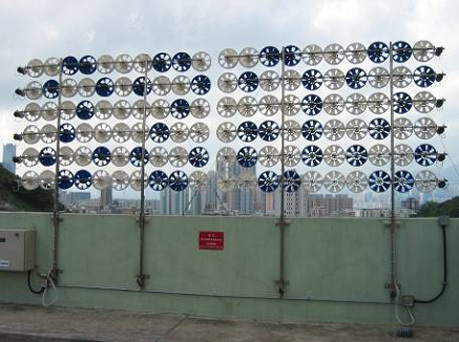 For the list of examples of government-funded projects, some smaller projects and latest projects are not included. 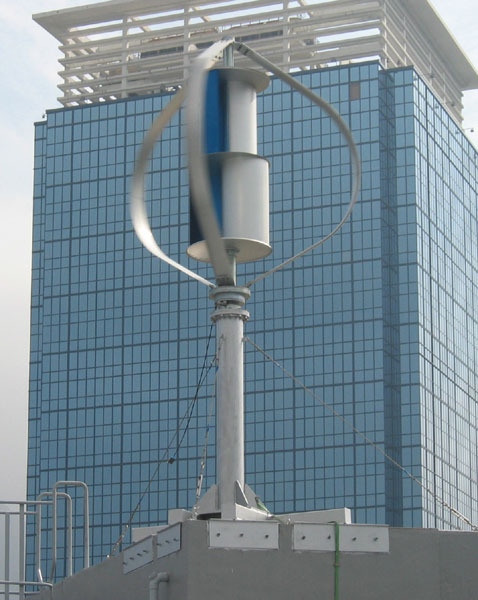 For the list of examples of non-government projects, it is compiled from the Survey on Renewable Energy Installations, which started in late 2006, along with information gathered from other sources. 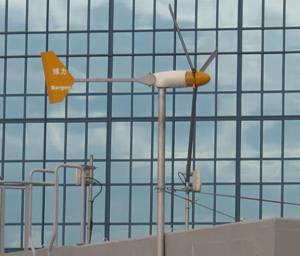 The Survey on Renewable Energy Installations is an on-going exercise. The survey questionnaire can be downloaded from the main page of Example Projects. 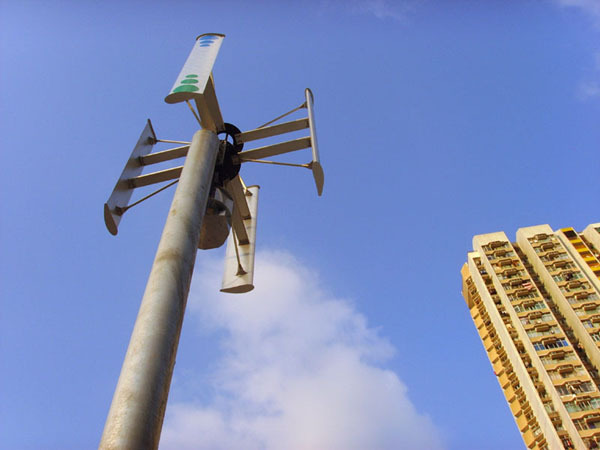 Small wind turbines are used with PV panels to make up wind/solar hybrid DC power supply systems for automatic weather stations at several remote locations. 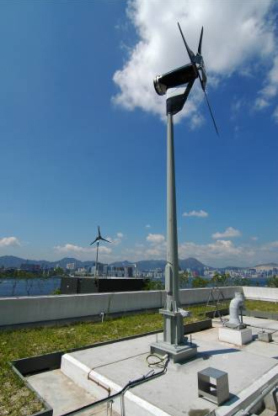 A 1 kW horizontal-axis small wind turbine and a 1.5 kW vertical-axis small wind turbine have been installed on the roof of the EMSD Headquarters building, for demonstration purpose and for gathering experience on roof-top application of small wind turbines. 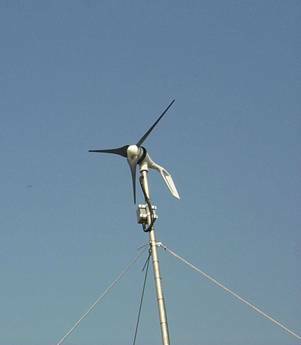 The small wind turbines are grid-connected, using small wall-mounted grid-tie inverters. 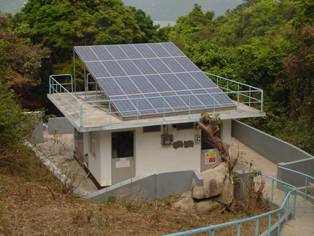 Shek Kwu Chau is an outlying island of Hong Kong, located in the south of Lantau Island, west of Cheung Chau Island. 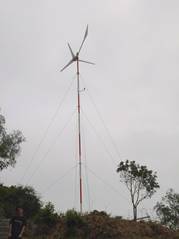 Four wind turbines of rated capacity 1 kW each and a 3.36 kW PV system have been installed on the island to provide off-grid electricity to some of the facilities there. 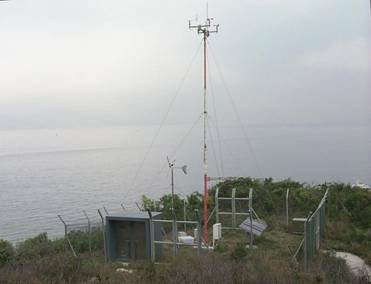 Shek Kwu Chau is a restricted area and a permit is required to visit the island.